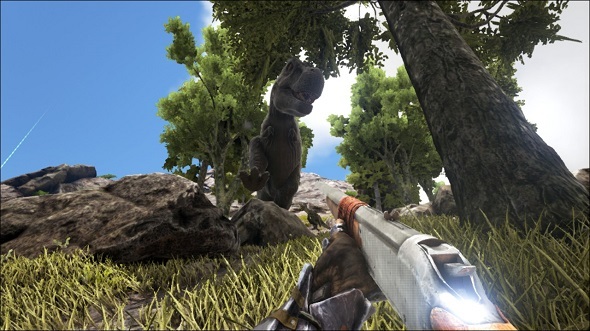 Ark: Survival Evolved is a frustrating game. You build a base, gather resources, and tame dinosaurs, only for someone or something to come along and destroy everything you worked for, kill you, and then steal your hard-earned possessions. Even on PvE servers, you are pushed to desperation as you try to survive and make do in your surroundings, battling starvation, thirst, and attacks from predators. It is enough to make you want to become a hermit, to shy away from ever leaving the safety of your base. 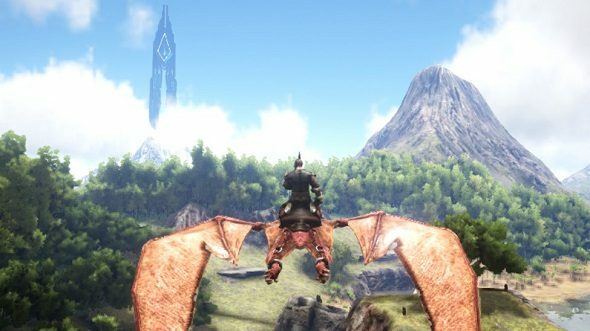 But getting out there and exploring the map is one of the best activities you can undertake in Ark: Survival Evolved. 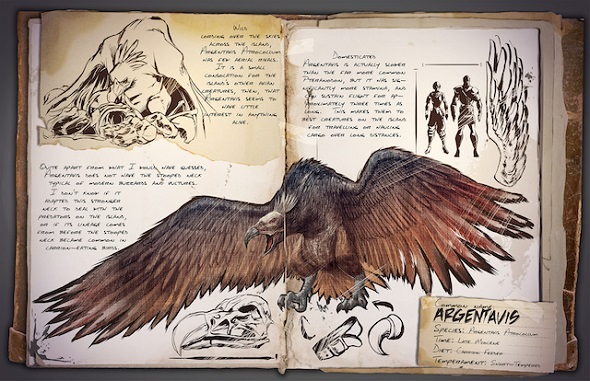 Hopping into the new expansion, read our guide to Ark: Aberration to help you along. If you manage to overcome your fears, the rewards for travelling can be incredible – more than what you might expect – helping you to expand your influence over the server and form meaningful connections with other players. I have discovered this through my own experiences with the game. Having set up a small wooden base on a PvE server and obtained a GPS and a flying mount, I set myself the task of collecting all the explorer notes and dossiers on the map. These are the collectibles that developers Studio Wildcard scattered across the lush landscapes to encourage players to explore further afield, danger be damned. They detail the story of a bunch of former survivors on the island and give information on how to tame certain creatures, documenting their behaviour. I wanted to see more of the world and, if I could, earn cosmetic rewards alongside some achievements for the task. The experience turned out to be a lot more rewarding than I initially anticipated. For starters, searching for explorer notes helped me to get better acquainted with The Island map. Before heading out, I had pretty much only stuck to the southern beaches and the swamps, afraid to venture to the far north of the map in an effort to avoid the more dangerous predators. But now I actually had to spend time in each location, turning over the different areas for chests hidden in the foliage, peering into cracks in the environment. As a result, I learned more about the creatures living in each individual setting, the different climates, and the placement of resource spawns. More importantly, it had the side-effect of forcing me into situations I never would have expected in the game. In one notable encounter I stumble across another player’s Giant Beaver tame being attacked by a Therizinosaurus on a beach. Unable to just stand by and watch someone’s hard work be undone, I unloaded a few shotgun shells into the much larger creature, and then made it my mission to return the wounded animal home. I used chat to track down the owner, and after some effort I succeeded in reuniting the pair. In return for my spontaneous act of kindness, the owner even gave me a couple of hints for nearby notes in the area and offered me some better gear. 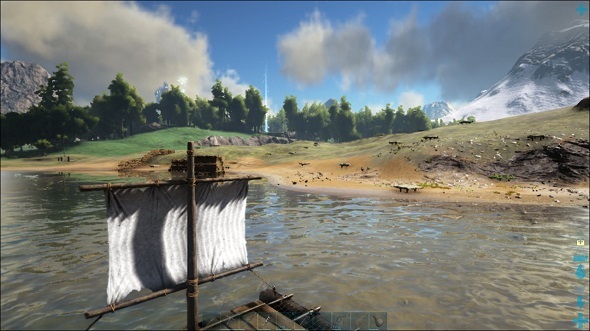 It was a perfect demonstration of the emergent style of online play that makes Ark worth playing for hours on end. Essentially, I had discovered a quest, quite by accident, found the relevant person to turn it into, and had been rewarded. The developers had scripted none of this yet it emerged naturally amid the clash between the ecosystem they had created and the online community trying to fight against it. I have many stories like this one. In an area to the north of the map, I landed my mount and looked around for the note that was supposed to be in the area, but couldn’t find it. After a while, my presence attracted the attention of some folks living nearby – in exchange for some goods, they offered their help. After some bartering, we struck a deal, and before long they were leading me through the deep snow to a hard-to-find spot. Not only was it encouraging to meet people who were ready to help out a stranger, it was interesting to see local information and knowledge given a value inside the game. It makes the world of Ark feel more like a real, living place than mere set dressing for a survival game. This encounter also serves to highlight how experiences of the game differentiate according to the location you set up base – altered by the nearby resources, predators, and topography. These relationships aren’t fleeting once established, either. I found myself returning to the same locations for help and support in subsequent adventures, with things like building higher-level engrams and trading for certain resources. I felt like I was connecting with others on the map in a real way and that my influence on the server was broadening. My desire to find explorer notes had made all of this possible. Without it, I would probably be doing everything the hard way, sticking to my isolated corner of the map and grinding in the safety of the starting area. Either that or I would have given up on the game, losing interest in its often repetitive cycles. Dedicating myself to exploration wasn’t an entirely positive experience, however. I had to learn to take the rough with the smooth. On one occasion, dire wolves killed my mount, stranding me in one of the most inhospitable areas with my only means of escape being to walk my way out of there. With tonnes of gear, I couldn’t just die and respawn, as I would have lost all the hours I had put into amassing it. Instead, I had to improvise weapons and transport my starving body across the map. It was a desperate experience, punctuated by close calls, good samaritans, and lots and lots of running. But I did stumble across some notes on the way, ensuring the episode wasn’t a complete loss. Through all this, I learned that exploration is not only fun but important in Ark: Survival Evolved. You get to meet other players, form connections, and improve your knowledge of the game in doing so. 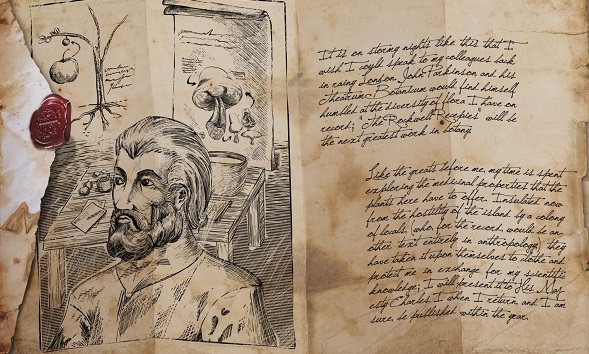 Though the intended reward for collecting explorer notes may be underwhelming to some – Steam achievements and cosmetic skins – the experiences you can have will add to your overall appreciation of the game. Little else you can do in Ark is able to have such a positive effect even if you end up stranded. I highly recommend coming out of your cave and seeing what else Ark’s map has to offer, especially if you are becoming disillusioned with your limited borders. I have had mixed feelings about Ark in the past – mostly down to some off-the-boil community management and drawn out delays – but my many treks across the undergrowth have cut through a lot of my cynicism. In fact, it has made me fall in love with the game all over again.